If rumor is to be believed, the former Prime Minister of the U.K. personally interfered to prevent Steve Jobs from being knighted after he wouldn't speak at a political conference. Steve Jobs has received a number of awards for his work with Apple, but -unlike Microsoft's Bill Gates- he has yet to receive an honorary knighthood from the Queen of England. However, Jobs was considered for the honor back in 2009, but newly-circulating whispers are implying that then-Prime Minister Gordon Brown personally intervened to deny Jobs the title. According to The Telegraph, a former senior MP (Member of Parliament) for the Labour Party (of which Brown is a member) is claiming that Jobs irked Brown's ire because he turned down an invitation to speak at party convention. The former MP, who left office after the last election, claims that Apple knew about the knighthood proposal and was in "the final stages of approval" before it was rejected by Downing Street. The former MP was told by Downing Street that the decision was related to a failed attempt to attract Mr Jobs to Labour's annual conference. Given his status as a superstar of business and technology, such an appearance would have been viewed as a coup for Mr Brown. Unsurprisingly, Brown isn't admitting to this behavior. 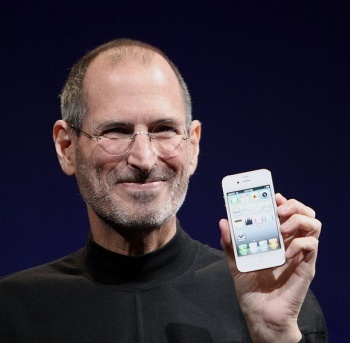 A spokeswoman for Brown spoke to The Telegraph, saying "Mr Brown did not block a knighthood for Steve Jobs." She refused to comment further on the issue. If the accusations are true, then this was pretty petty of Brown, and I personally think he owes Jobs an apology. That said, it'll be interesting to see if any evidence surfaces to support the rumors.